IPhO Student Network Reaches 60 Chapters with University of Georgia College of Pharmacy! IPhO is pleased to announce the addition of the 60th student chapter to its growing national network! Congratulations to student pharmacists at the University of Georgia College of Pharmacy. IPhO now connects them to a national network of over 4,000 student pharmacists with similar interests, as well as a national network of hundreds of industry fellows and thousands of industry pharmacists. 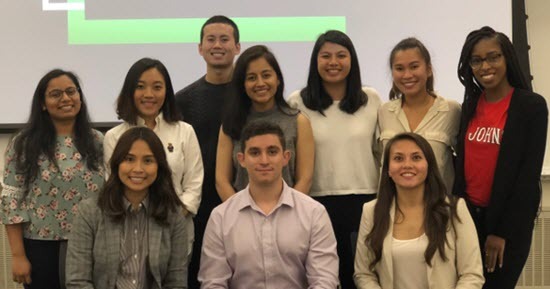 In September 2018, the St. John’s University IPhO chapter and fellows from the Allergan-SJU fellowship program collaborated to educate student pharmacists about career opportunities in the pharmaceutical industry. Many St. John’s University students, representing all class years, attended the event, which was part of an Allergan research project to be presented at the 2018 ASHP Midyear Clinical Meeting. The Allergan fellows presented on the roles of pharmacists in various functional areas within industry, including Clinical Development, Regulatory Affairs, and Medical Affairs, while providing an overview of the drug development process—from research and development to marketing. Attendees, who all signed an informed consent form, were provided with a survey before and after the presentation to gauge their knowledge level upon receiving the information. IPhO Turns 6 and Reaches 60 Student Chapters! IPhO is celebrating its 6th birthday by welcoming its 60th student chapter! Thanks to the dedicated industry pharmacists, fellows, and student pharmacists who have trusted IPhO as their proven path to industry for the past 6 years. The inaugural IPhO Fellows Networking Event was held in late September, hosted at RevHealth in Morristown, NJ. Over 40 PharmDs attended from the tri-state area, including fellows from over 18 different programs, industry pharmacists, IPhO staff, and two IPhO student officers. The attendees enjoyed an opportunity to network and learn, which was capped off with a night out in Morristown with the PharmDs of RevHealth! IPhO and SNPhA Collaboration Going Strong! IPhO and Student National Pharmaceutical Association (SNPhA) continue to build upon their strong foundation of professional development resources, created to advance the skills of student pharmacists interested in pursuing an industry career. The partnership was established to grow the leadership skills of the student members of both organizations by creating a series of learning opportunities, all of which are and will continue to be available on the IPhO website. The first professional development webinar, "Leadership and Industry Pharmacists," was delivered to a group of SNPhA pharmacists, and can be viewed here. Its success and value to the audience in attendance reinforced the need for additional resources of this kind. 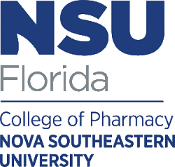 Nova Southeastern University College of Pharmacy Joins IPhO National Network! Congratulations to student pharmacists at Nova Southeastern University College of Pharmacy. IPhO now connects them to a national network of over 4,000 student pharmacists with similar interests, as well as a national network of hundreds of industry fellows and thousands of industry pharmacists. IPhO NFC Kicks Off the Fellowship Year LIVE in Massachusetts! The 1st annual National Fellows Council (NFC) Live Summer Kick-Off Meeting was held in early August at Sanofi Genzyme in Cambridge, MA. Thirty NFC fellows from Boston, New York, New Jersey and North Carolina gathered face-to-face to kick off the new fellowship year. Typically, NFC work is done remotely as members are located across the country, so this opportunity to meet in person, network, and discuss the year's initiatives was invaluable. Introducing the 2018 IPhO Student Chapter Handbook! Since its launch in 2012, IPhO has experienced significant growth in its National Student Chapter Network and is currently 58 chapters strong! The IPhO network and all its tools and resources have been met with enthusiasm by student pharmacists across the country and have raised awareness among student pharmacists nationwide about the industry career opportunities available to them. To maintain messaging consistency, while keeping up with the continuous expansion of the network, IPhO is proud to introduce the new 2018 IPhO Student Chapter Handbook. This handbook offers in-depth guidance on the process of starting and maintaining a student chapter and includes the most up-to-date IPhO policies, branding guidelines, leadership opportunities, resources and services. Chapters are encouraged to become familiar with this handbook and refer to it as a resource when needed. In July 2018, pharmacy students from across the country gathered for the National Pharmacists Association/Student National Pharmaceutical Association Conference in Charlotte, N.C. Educational services, professional training, professional development and best-health practices were discussed at the conference. IPhO was invited to have an exhibit table at the conference to raise awareness among pharmacist and student pharmacist attendees about the opportunities for pharmacists in industry and the active roles they play. IPhO National Student Officer Mitchell Linton and IPhO Regional Student Officer Kimberly Watson (both Howard University, Class of 2019) represented IPhO at the event to help raise awareness among student pharmacists about how they can leverage their education and clinical expertise in industry to have a broad impact on healthcare. Texas Tech University Health Sciences Center Joins IPhO National Network! Congratulations to student pharmacists at Texas Tech University Health Sciences Center. IPhO now connects them to a national network of over 4,000 student pharmacists with similar interests, as well as a national network of hundreds of industry fellows and thousands of industry pharmacists.